We’ve made it our mission to make servicing your vehicle a hassle- and stress-free experience. Add up to 5 quarts of motor oil (per specification), Check and adjust tire pressure, Complimentary multi­point inspection and exterior car wash! We support our local economy and strengthen our community by keeping our business family-owned and operated. 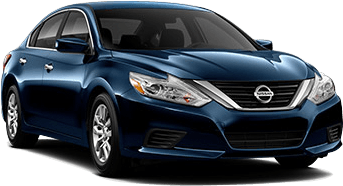 With us, you get the security of the Nissan promise and the neighborly care of a local car repair shop. Because you’re under enough pressure. For routine maintenance you already do. Lower your cost of ownership by using your points on services you need.